Are Data Back-ups for Sissies? Some of us still have heaps of old 5.25″ floppies laying around. It is well known that data stored on this type of media is not the safest place to keep it. While most of the data can quite easily be found online (i.e. games and demos) in the case of data loss, some data may be more valuable to some than others. Like the crude animation of my dreaded gym teacher from primary school that I wrote in BASIC with a buddy of mine. This nostalgic piece of code, showed to our cheering classmates at my 13th birthday, has been lost to the eternal bit fields as I did not back it up in time… I therefore decided to look through the rest of my pile of diskettes and check for other hidden treasures. The question is how to do this as easy as possible? Even though, it is possible to back up Commodore 64 data to other storage devices (like a SD2IEC or 1541 Ultimate II), using a modern-day computer seems like the easier approach. This way disks can be copied without the need of a Commodore 64 machine. 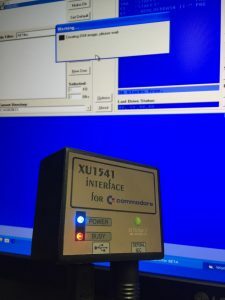 In this context, the xu1541 devices can be used to interface PC’s with IEC devices like the Commodore 1541, 1571 or 1581 Diskette drives. The devices can even interface with the WinVICE emulator allowing to run games and programs directly from the diskette drive and executed on the modern hardware. 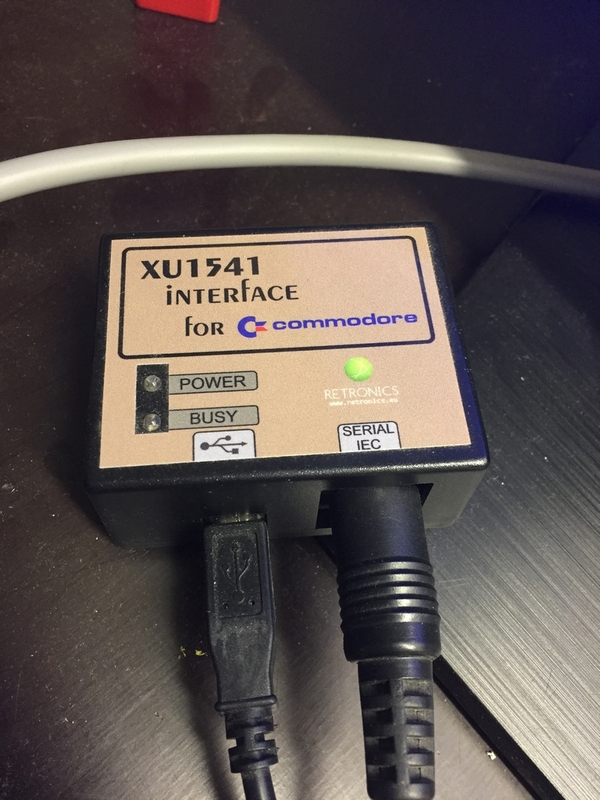 What is the xu1541 Interface? The xu1541 interface is a way to connect Commodore IEC bus devices to the USB port of modern-day computers. This way data can easily be transferred between diskettes and the harddrive of a PC. The interface does not transform the diskette drives into a mass storage USB device like, e.g. a memory stick. It simply allows sending low level IEC commands back and forth through the USB interface. This in turn gives direct access to the content of the disk drive and the software on the diskettes. However, there are some shortcomings of the xu1541 interface. Due to the simplicity of the design, it does not have nibbler support and therefore copy protected data cannot be transferred through the device. The device is supported by the software called OpenCBM which enables control of the disk drive from the PC and includes disk reading, disk formatting, single file copying (.D64 and .PRG files) to and from disk. 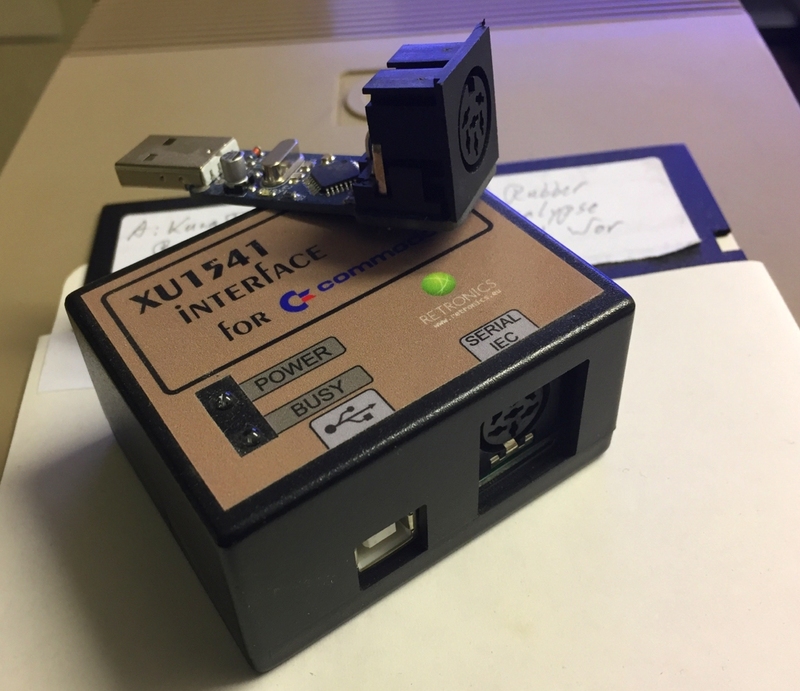 As there are several implementations of the xu1541 available, I decided to include two of them in this review: the XU1541 Interface and the USB2IEC. The former is created by Spiro Trikaliotis and the latter by 16xEight Digital Retrovation. Both of them are readily available online from Ebay (retronics.eu) and 16xEight Digital Retrovation (16xeight.de). The XU1541 Interface Box from Retronics.eu comes in a sturdy plastic box with a choice of two colors – white/grey and black. I opted for the black version. On top of the case are LED’s for power (blue) and busy (red) signals. The front holds the USB plug for connecting the included USB cable to a PC and an IEC port for connecting the diskette drive. According to the manufacturer the device supports 1541, 1571, 1581 and is the improved SMD version. The XU1541 device works with MS windows XP/Vista/7/8. If for some unknown reason one wants to load a game or program from diskette and use the Vice emulator to run it, this should also possible (I did not test this though!). The device costs 37$ plus shipping from Poland. The USB2IEC device from 16xEight Digital Retrovation is basically a small (20×50 mm) blue rectangular printed circuit board with an USB plug in one end and a female IEC plug in the other end. The components are not protected inside a case or shrink wrap and the device is plugged directly into an USB port of a modern-day computer. The USB2IEC works with MS Windows XP/7 and supports Commodore 1540, 1541, 1541-II, 1570, 1571 and 1581 diskette drives. The device costs 21$ plus shipping from Germany. As I only own a Commodore 1541 diskette drive and already have a MS Windows XP machine that I use for my EPROM burner (link), all tests were performed on this system. Drivers and software for the XU1542 Interface Box were included with the purchase. The main interface program for transferring data between the 1541 drive and the Windows PC is called CBMXfer and looks like something from the Windows 98 era. On the left side of the program window is the source directory on the local PC found while the right side holds information of the Commodore drive that it attached to the IEC cable. Drivers, manual and interface software for the USB2IEC can be downloaded from the 16xeight Digital Retrovation website. The manual is in German but the installation is pretty much self-explanatory. The interface software is called GUI4CBM4WIN and when running the setup file, CBMXfer is also installed. I divided the test into four parts. First, I wanted to transfer a diskette holding a copy of a single file game (Buggy Boy) to the PC. I then wanted to copy an entire diskette to the PC in .D64 file format. I then wanted to use the software to format the diskette and finally transfer back the newly created files. It soon came clear that both devices can be run interchangeably regardless of programs used. In fact, I was not able to detect any differences in regard to transfer speed, access time, functionality or installation of Windows drivers. Both the XU1541 Interface Box and the USB2IEC device managed to transfer single .PRG files, entire diskette images in .D64 format, format a diskette and transfer data back to the floppy. The biggest difference was found in the functionality of the software. The CBMXfer had the ability to create .D64 files while GUI4CBM4WIN had a neat logging window to see the progress of a current job. However, this may be related to the software version that the devices came with as updated software versions may include both options. Why even bother fiddling around with the old floppies when devices like the SD2IEC or the 1541 Ultimate are so much easier to use? Well, I see the greatest use for the xu1541 devices for backing up old floppies before they get erased by time. After transferring data from the floppies, disk images can be created and used on more modern Commodore 64 add-ons like the 1541 Ultimate II. The xu1541 devices are also a great approach for those who likes the good old floppy format and finds the clonking sounds from the diskette drive as soothing as hi-fi enthusiasts love the low static noise coming from an old record. Using either of the devices, transferring new games or programs to a hard disk is a breeze. So, which one is better of the included devices? Well, they do the exact same thing, at the same speed and the software can be used interchangeably. If money is not an issue or the open design of the USB2IEC kinda scares you (which I really don’t think there is any reason to! ), I would go with the boxed version with the flashing LED’s from retronics.eu. However, if all I need from the device is to transfer data between a PC and a diskette drive, I would definitely go with the cheaper version from 16xEight Digital Retrovation. NOTE: This article has also been been published in Europe’s #1 C64 scene disk magazine – Attitude #18 by TRIAD (link). Loved the article you posted on copying protected floppy disks! I think I might need your expertise or guidance. I have an original 5.25 floppy disk of PSI-5 Trading Company (my favorite game) it’s in great condition, but I’m worried it won’t last very long being that it’s over 20 years old. I personally no longer own a Commodore 64, I just own a PC and would really love to copy this game and preserve it for others to use and enjoy as well. I just need to copy the files or image them so I could either play this game on an emulator through my PC or on a true C64 machine. More importantly, however, I’d like to have a digital copy so I could preserve this game … the game is copy protected from what I know (doesn’t have notches on the side of the floppy). Hi JC, this is the first time I’ve ever heard of that particular game 🙂 To make the copy, you’d need a 5.25″ diskette drive and a device like the XU1541 to copy it. In my opinion, this sounds like quite a hassle to get just that one game copied… As you own the original game, I would simply find the game on e.g. csdb.dk and save yourself all the trouble. However, I completely understand that for nostalgic reasons this kinda ruins the fun in creating your own private copy of the game. Any update to the drivers for windows 10? Mine stopped working after the upgrade to 10. Do you know where I can you get one? Hi george, you should be able to get the XU1541 on Ebay. 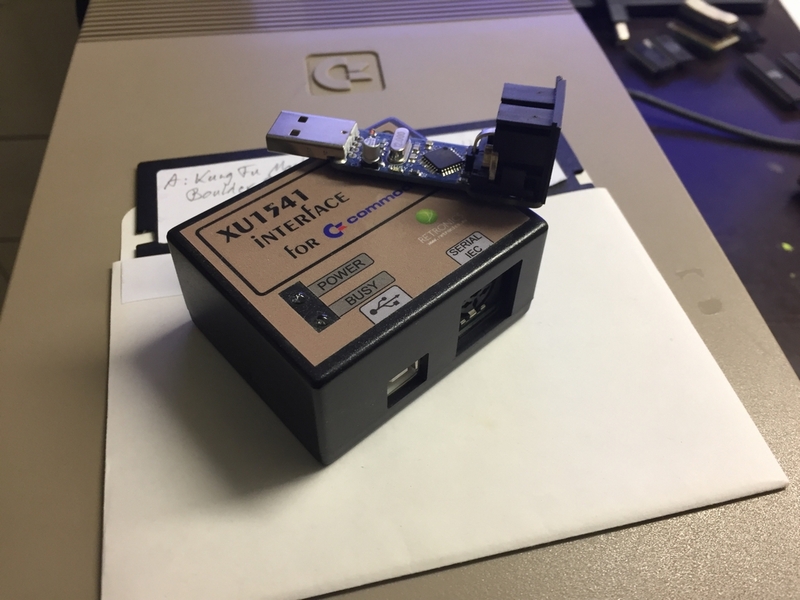 The USB2IEC from 16xEight Digital Retrovation may not available any more as the site has been closed after I posted the above article. Hello, some of the 16xeight products are available at Heimes-elektronik.de in Germany, seems they have bought the Designs from 16xeight.